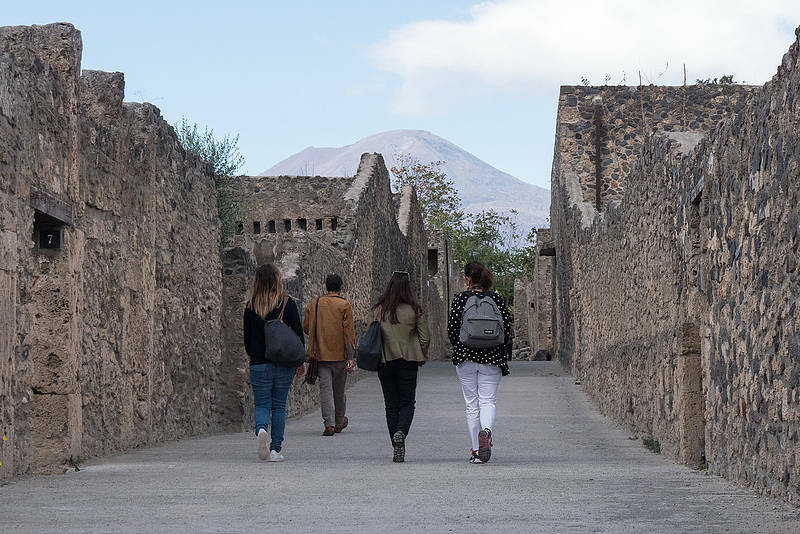 Explore the ancient town of Pompeii and the majestic Mount Vesuvius with an authorised guide in this informative and exciting day-trip. 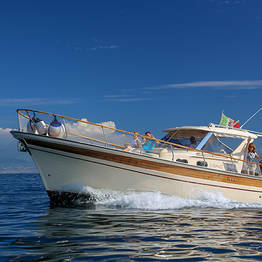 Enjoy a boat trip to and from Sorrento and a swim in the crystal clear waters of the peninsula. Pick up at a meeting point close to your hotel and transfer to the Piano di Sorrento port. Departure for the port at Castellammare di Stabia, sailing along the Sorrentine coastline. 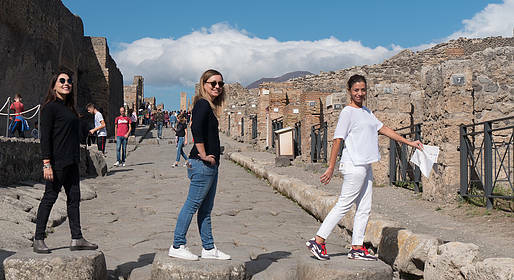 Arrival at Castellammare and bus transfer to Pompeii. 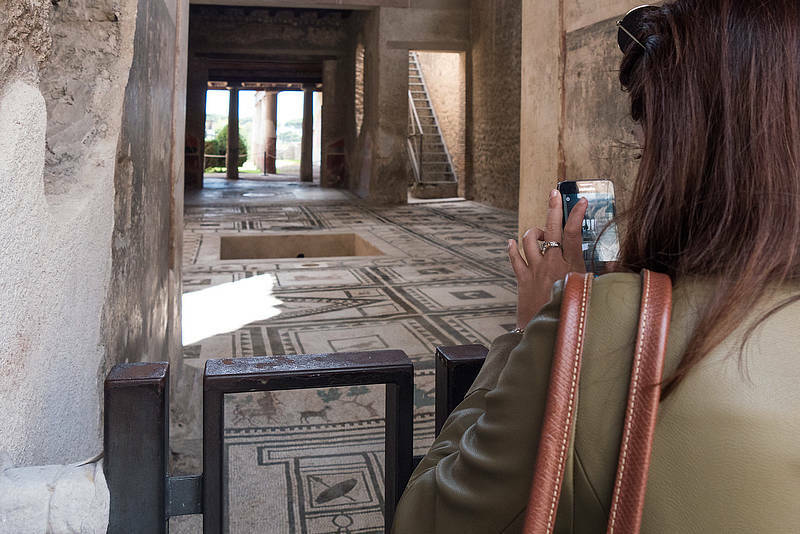 2.5-hour guided tour of Pompeii, followed by the Galleria Cellini museum and workshop, specialized in coral and cameos. 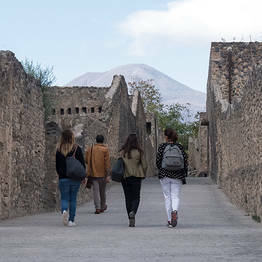 Transfer from Pompeii to the Mount Vesuvius National Park to explore with an expert hiking guide. Bus transfer from Mt. Vesuvius to the port in Castellammare di Stabia. 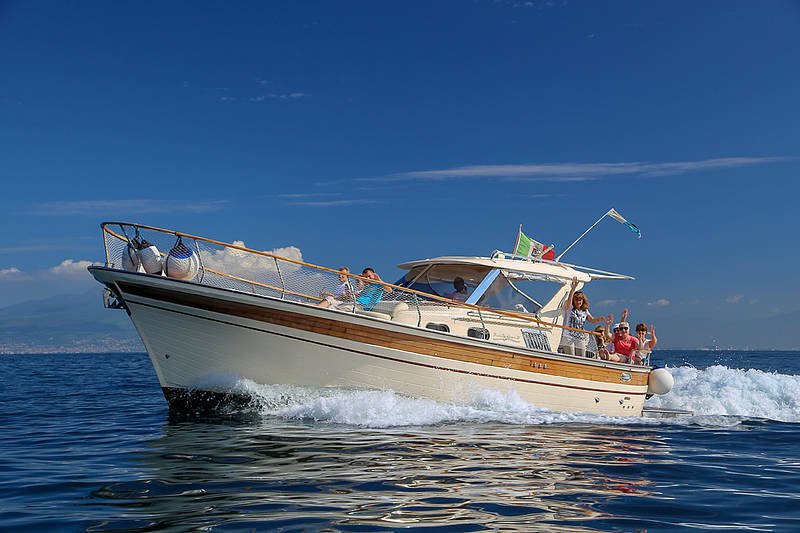 Return sail to Sorrento with a stop for a refreshing swim. Dock at the Piano di Sorrento port and transfer to your hotel. On board: On board: tomatoes and mozzarella sandwich, alcoholic and non-alcoholic beverages, snorkeling gear, life jackets for adult and child, wc. 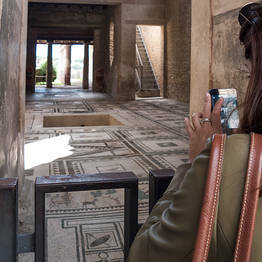 Departure for this tour: 9AM from Piano di Sorrento. Hotel pick ups: 8AM (precise times and places for pick up will be sent after you book and based on your hotel location). Code: SNYP6 By You Know!